North Coast Community Housing tenants living in Goonellabah are the first to receive free solar panels and home energy audits as part of a new solar housing partnership. 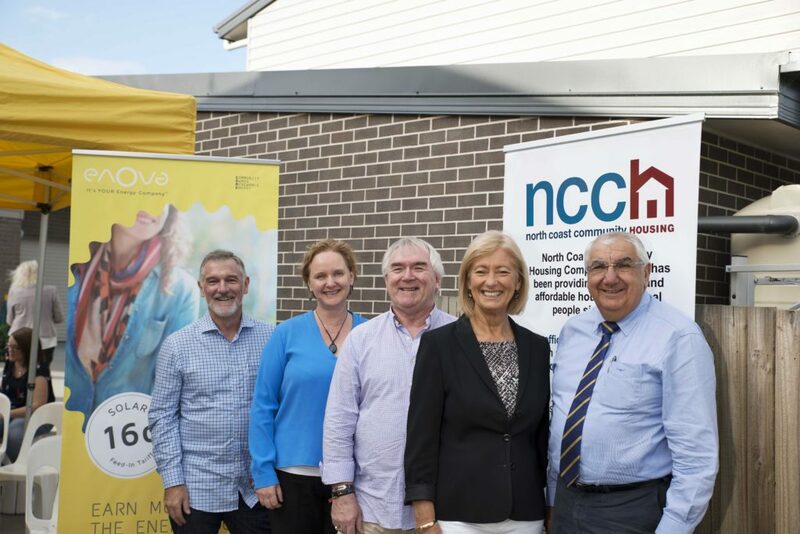 Mr Thomas George MP, Member for Lismore has announced that the NSW Government has partnered with North Coast Community Housing (NCCH) and Byron Bay-based Enova Energy to make a range of energy efficiency upgrades to 28 properties owned by North Coast Community Housing. North Coast Community Housing’s partnership will install solar systems, provide energy audits and energy saving advice to community housing properties situated in Goonellabah, Ballina, Murwillumbah, Byron Bay, Tweed Heads and Grafton. “The installation of solar PV systems and associated energy saving measures are expected to cut tenant’s bills by around $420 a year,” Mr George said. “Many of these tenants are also eligible to claim NSW Government energy rebates and sign up for our appliance replacement offer to help reduce their bills even further. “The project’s benefits go beyond bill savings; the energy efficiency upgrades will improve household comfort and generate local business and employment opportunities,” Mr George said. “We are very fortunate to have received support via a low interest loan funded by local Philanthropist Mr Mark Tidswell. With his help, we were able to provide solar to a total of 28 of our tenant families who reside in dwellings perfectly situated for maximizing the benefit of solar panels. Mr Tidswell’s funding really helped us roll out this project cost effectively,” Mr McKenna said. “The installation of the solar systems and the energy saving measures means tenants stand to really save on their energy bills, and just in time for winter,” said Mr McKenna. NCCH Property Manager Fiona McConnell added the project is a practical way to help tenants save. “Our tenants have been really happy not only with the installation process and savings, but also with the conversations that have started,” Ms McConnell said. “One of our tenants told us their children saw the panels go on and asked about solar, renewable energy and the environment – which has made them more aware of the issue and motivated to learn more,” said Ms McConnell. Enova Community Ltd Manager Sandi Middleton added many of the tenants could not believe that solar was being installed in their homes with no upfront cost.